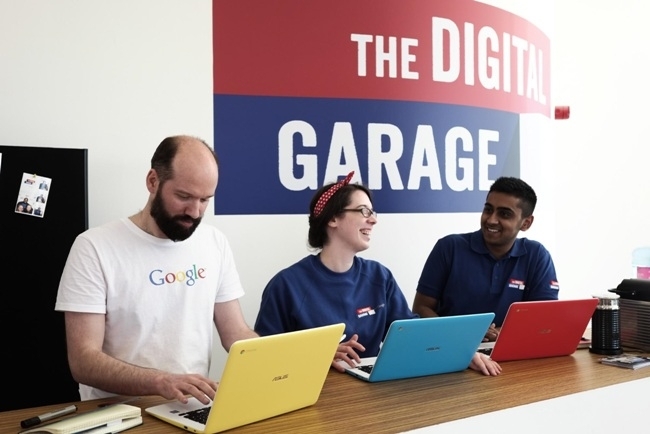 The Chamber’s Focus Group Leader Phil Holmes of OfficeTech Supplies, said: “The Google Garage is a new initiative from the world’s biggest digital organisation, so it is a real coup to have it at Yorkshire Business Market this year. Chamber chief executive Brian Dunsby said: “We know many businesses from across the region come to Harrogate to establish new contacts and catch up with existing clients at the annual Yorkshire Business Market, as well as learning new skills through our seminar programme. “We are continuing to offer that opportunity this year, and the new Digital Café and Google Garage recognise the needs of business leaders in 2016 and beyond. We are speaking to several other potential partners about bringing their expertise to Yorkshire Business Market this year, and we would like to hear from any other organisations who want to know more about our partnership opportunities.